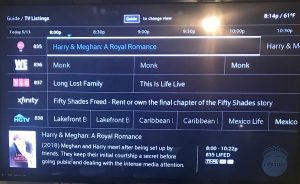 While reviewing articles about Interfaith and Interracial marriages for our website www.InterfaithMarriages.org, I came across an item that caught my attention – it is the romance between Harry and Meghan. What appealed to me was the relationship between an average American girl and the ‘Prince’. Meghan represented America and American values. She is bi-racial, actress and a divorcee. This union goes against the ‘usually’ racist monarchies and aristocrats, which is anathema to the American way of life. My instant reaction was seeing a new milestone in the history of racial relations. Barack Obama’ had choked me with tears, it was just not me, the entire world cried on November 4, 2008, and they were the tears of happiness. That event was one of the most profound moments in human history. The other moment was when Michelle Obama was treated on par by Queen Elizabeth. A new historical moment in human equality is coming up. It would be the wedding of Prince Harry and Actress Meghan. I bet the whole world will cry on their marriage with happiness. Indeed, this is what every human wants – to be treated and accepted as equal. When they see that the prince tears the wall of aristocracy and start seeing humanity in Meghan, it gives joy, to the entire world. Royalty and Kings were never a value to me. I remember my youth days when Indira Gandhi banned the privy purses given to the Kings, Rajas, and Nawabs; I had cheered her for taking that action. The idea of superiority of any human over the other was repulsive, and my vocabulary does not include the phrase Royal blood, there is nothing like that. No one is superior by birth. It was one of the Islamic values that have remained with me while I was an Atheist for nearly half of my life. I am pleased to have come to such a land and make it home where that value is nourished. Equality is an American value and fits like a glove. With that background, I decided to watch the show on Lifetime channel even if it were about the prince. The issues people face and useful things people miss out in life due to perceived differences in race, culture, and religion is part of my study. 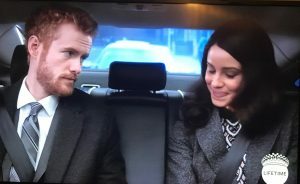 The film is about the relationship between Harry and Meghan, though he is the prince, his reactions and interactions are common places. Every individual is beautiful if you take the time to connect and know each other. On the other hand, if you carry a scale to measure the other person in every aspect of life, you will miss out on the relationship and become one soul. One of the many things you get out of the movie is, you are who you are and the other person is who he or she is, you were born unique and should remain unique and celebrate the individuality of each person. It was such a joy to hear the subtle relational conversations about race, about fitting in the family, acceptance, jealousies, backbiting and other emotions. All common emotions that each one of us experiences. At one place Harry writes a note that he could not protect her from the paparazzi- she gets right back at him and says she is a self-made woman and does not need any protection. She was not dependent on him nor will she want to live off his income, she had a career and will remain independent. She is self-made, feels equal and behaves equal, and has her own life, and not looking for her man to take care of her or protect her, to me that is demeaning and subservient. That is my girl and that is being American and living a dignified life. It is a hell of a good movie to watch, I may watch it again, there is so much good in it. Barack Obama choked me with tears.